I find the whole concept of Facebook friends (FBF) very intriguing. I recently ran into several FBF’s in the past month and I really enjoyed meeting them face to face. There’s a wide range of FBF connections…. Some are your BFF’s while others are pretty much strangers. It’s those “strangers” that if it weren’t for FB you would have never connected. Connection with others is a god given desire for most people. So FB in a strange way allows us to connect with more people than “physically” possible. 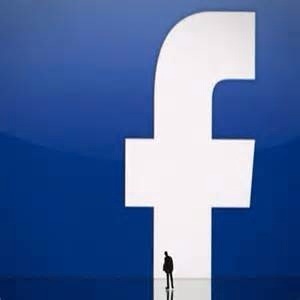 The FB connections are kept on a very informal level in some ways… Then again, sharing personal pictures and thoughts keeps FBF in a very unusual place of feeling connected to people you really don’t know! I had a wonderful birthday yesterday and smiled every time a birthday wish came through my FB page… Thank you FBF for taking time out of your day to wish me a Happy Birthday! For all my FBF I still need to truly connect with, I look forward to “running” into you someday out in the real world… And please, please, please if you recognize me as your FBF please say Hello… It makes my day! Thanks Lisa and Cheryl for saying hello when I least expected it…. Your warm smiles and sweet hugs were a blessing to me! Categories: Change, Facebook, people, thankful | Permalink.